Central West Libraries welcomes Freeda the Reader. She has joined in with Storytime and helped out with Summer Reading Club. 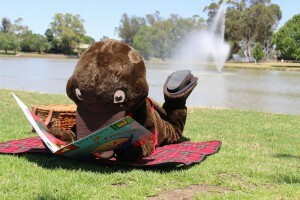 Her favourite thing to do is reading (and swimming). If you see her around the Library, please say hello. Ask the Library staff about the new “Freeda the Reader” membership card. She thinks it’s awesome!